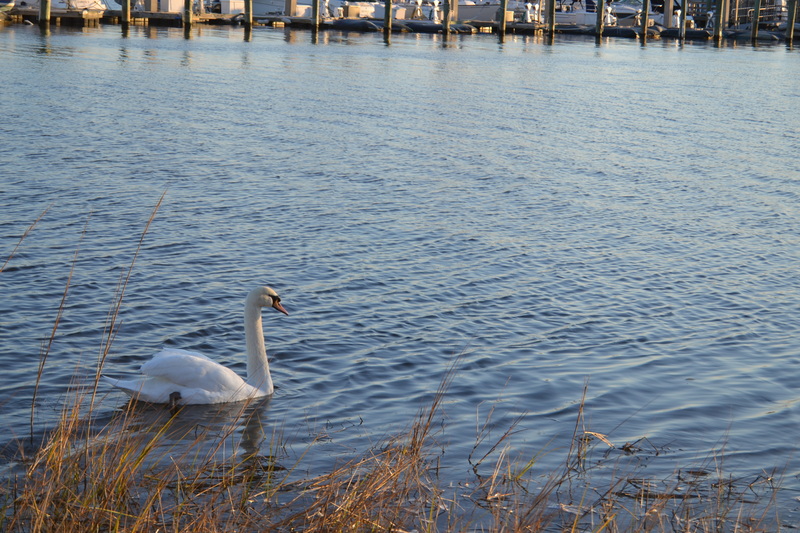 Recently, Bride Swan visited right around sunrise. I tried to persuade her to stay in just the right spot. I wanted the sunrise to be behind her in my pictures. She just didn’t want to cooperate. But I’ll settle for the glow of golden hour on her white feathers. And she’ll settle for some bread. 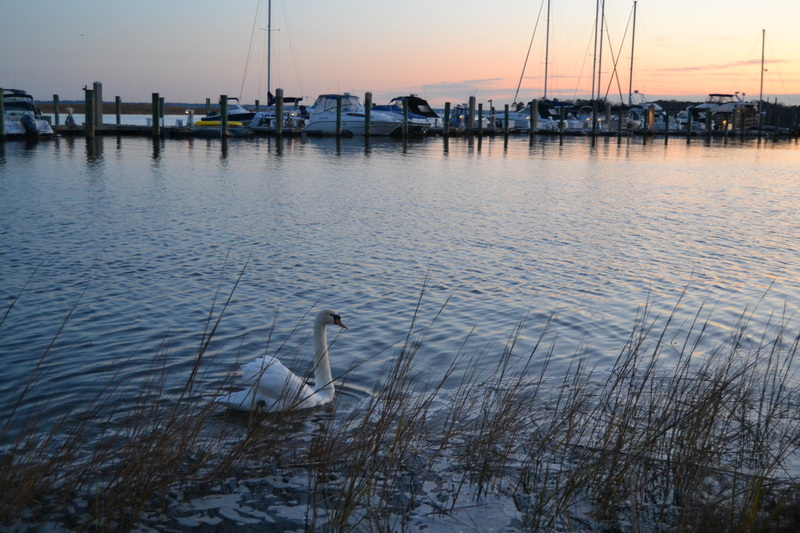 This entry was posted in Days at Home, Sunrises/Sunsets and tagged golden hour, sunrise, swan. Bookmark the permalink. Even though Bride Swan didn’t cooperate with your photographic plans – she still looks so majestic in her white frock with the sunrise glow on her long neck. Nice shots!! Beautiful! 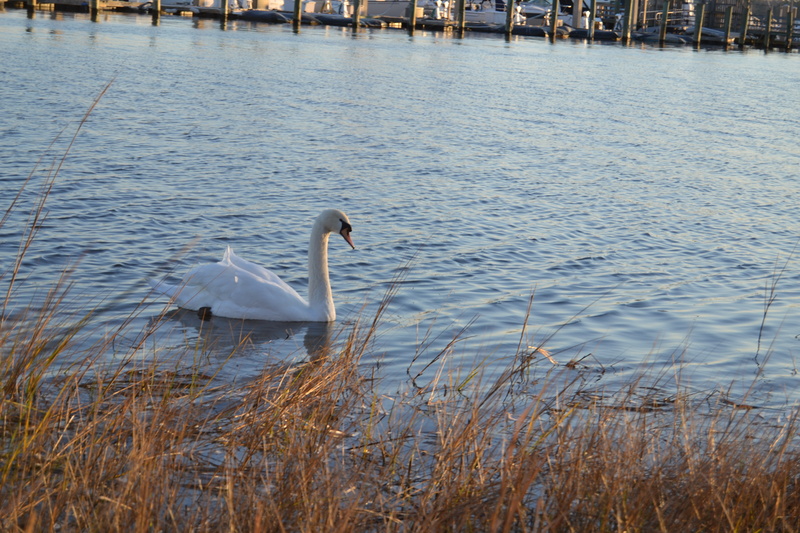 I love the swan – she is so regal looking…and she looked so pretty in the glow of the sunset. Have a great day! What stunning pictures – the swan looks lovely in the glow of the light. Talk about ‘gilding the lily’!!! The sunrise is really gilding Bride Swan’s lovely white! Love June’s comment…gilded is right. Good morning pretty swan! And pretty sky! Bread for a golden hour swan? Sounds like a fair trade to me!! Beautiful. Swans are so lovely to look at. The sun glow made Swan Bride even more lovely! She is so graceful and beautiful-the golden glow is stunning! What a beauty! You are so blessed to have these lovely birds to photograph. Ms. Bride Swan is very beautiful in the morning light! Wonderful photos. She’s so pretty in that light against the blue of the water.